Ever notice how amazing food tastes eaten around a campfire after a long day of backpacking? Even boxed mac and cheese or freeze-dried soup can seem pretty tasty out in the wilderness. But spend a few meals in a row eating such typical camping fare and the high-sodium, low-nutrient content will start to take its toll. That’s where Good To-Go comes in. 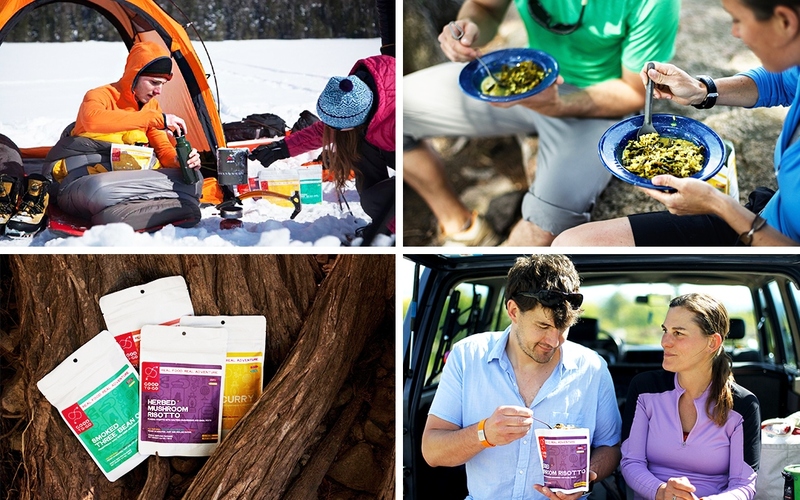 The company creates great-tasting dehydrated meals made from fresh vegetables, whole grains and ground spices. They’re actually so good you’ll be tempted to eat them even when “camping out” in your own kitchen. Accomplished chef Jennifer Scism, who has cooked at New York Times four-star restaurants and even beat Iron Chef Mario Batali on the TV Food Network’s Iron Chef program, wasn’t planning on launching a packaged-food company; her product was born out of necessity. The experiment worked so well, Scism later brought a three-day supply of her dehydrated meals for everyone while on a group camping trip. “They were a hit. It was then that we started thinking that everybody should be able to have better food out in the back country,” she says. A year later the business was born. 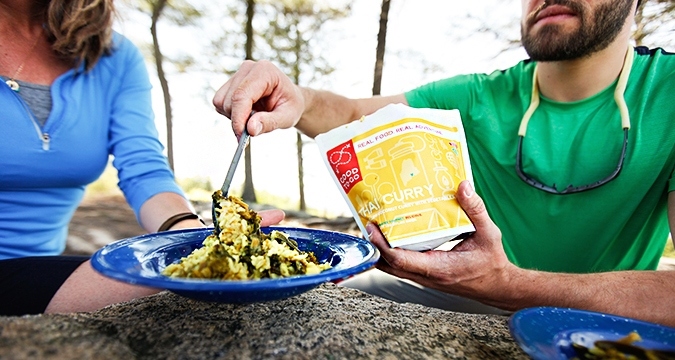 Every batch of Good To-Go’s Thai Curry, Herbed Mushroom Risotto, Smoked Three Bean Chili, and Classic Marinara with Penne is handmade, dehydrated and packaged at their headquarters in Kittery, Maine. In addition to using ingredients you can actually recognize and pronounce, Scism is committed to sourcing organic, non-GMO and local whenever possible. Instead of pumping up the sodium, Good To-Go gives their products a two- to three-year shelf life by adding a removable “oxygen absorber” to each pouch, and sealing them using heat rather than vacuum—it creates a better barrier to microbes. “David and I are having fun understanding and growing a manufacturing business,” relates Scism, who recently secured funding to expand their facility. “We would like to figure out how to do ten times the production and keep the quality,” she says. Find out more at www.goodto-go.com.